Update: The next PSRG Board meeting is on December 8, 2018 at 2 PM at the Salmon Bay Cafe, 5109 Shilshole Ave NW, Seattle. Your input to the discussions is always encouraged, although only board members will vote. 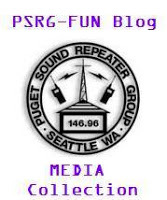 The meeting will include a discussion of a proposal to add PSRG sponsorship of a DMR repeater. DMR Repeater Proposal.